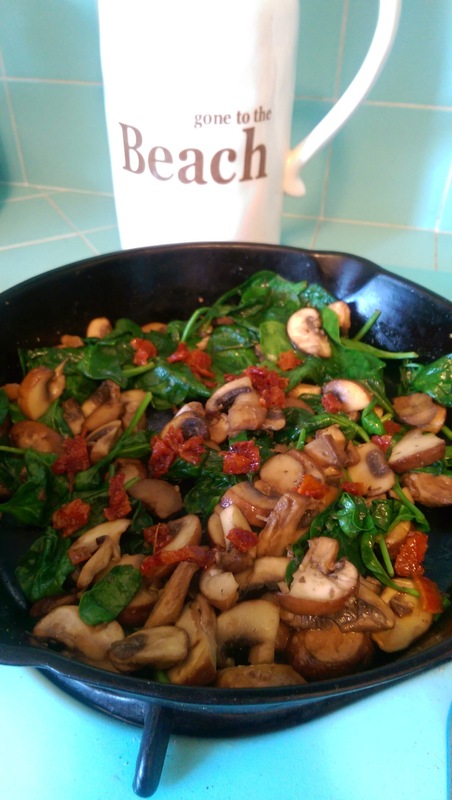 Sear Roasting, Roasted Veggies with Bacon…and anything from Trader Joe’s! Let me start by saying that I completely stole, with permission, the following sear roasting info from my sister JoAnn’s blog DailyCupofJo.com. She’s an amazing cook! Have you ever done sear-roasting? Do you even know what it is? I didn’t until she posted the following and now it is my fool-proof way to make any meat, chicken or fish dinner (yes, I still cook steak, chicken, fish, Chinese food, roasted veggies, etc…a real dinner, even though I live alone!) So…without further adieu, here’s Jo’s impeccable instructions…. You know when you order salmon at a restaurant and it has a nice crust? It’s been sear-roasted. Once you get the hang of it, you’ll feel like the chef at your favorite eatery. It’s fast and you can decide on a multitude of sauces whipped up afterward in the pan – or you can use something you find at Trader Joe’s, spooned over the top. First, preheat the oven to 425°. Pat the meat or fish dry with paper towels. This is essential for browning. Generously salt and pepper each one. Heat the skillet over medium-high heat for about a minute. (If you flick a droplet of water in the pan and it vaporizes in 1 second, you’re good to go. Getting the pan hot enough, but not too hot, is important. Again, it takes about a minute or so.) Pour the olive oil in the pan and swirl it around. Evenly space the meat or fish in the pan and allow it to cook for two minutes WITHOUT TOUCHING IT. 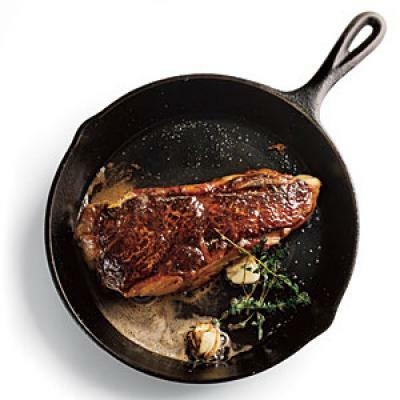 Lift a corner of the meat or fish to see that it’s both well-browned and easy to lift. If not, cook for a minute more. Flip it over and cook for another minute. Transfer the skillet to the oven. Chicken and pork should cook for 5-8 minutes, depending on thickness. Salmon and beef for 4-7 minutes. I’m pretty good at pressing on the meat to check for doneness, but you can use a quick-read thermometer if necessary. Chicken, 165°. Salmon, 135°. Beef, 130°. Pork, 145°. Keep in mind that the meat or fish will continue to cook on the inside for fifteen minutes after you take it out of the oven. In other words, if you cut your chicken breast open and see it’s just slightly pink, you don’t have to continue cooking. Remove it from the pan and tent it with foil while you prepare a sauce. It should be perfect by the time you serve. Overcooked anything is just a big, fat bummer. After removing the chicken, I put the skillet back on the burner on high and add about 1/3 cup red wine, scraping the tasty chicken bits that may still be lurking. After reducing (about three minutes), throw a can of petite diced tomatoes in, along with some oregano and parmesan, cook for another three minutes and spoon it over the top of the chicken. For salmon, add white wine to the pan after, along with chopped shallots and rosemary. After reducing, remove from heat and add cubed butter, about half a stick for a tasty beurre blanc. For beef, add red wine and beef broth to the pan, along with sliced mushrooms (on high) and cook for five minutes. Add 2 T. heavy cream and some chives. Yum. For pork, and I’ve never made this, I’m sending you to a guy named Kevin at Closet Cooking for a balsamic-fig sauce. 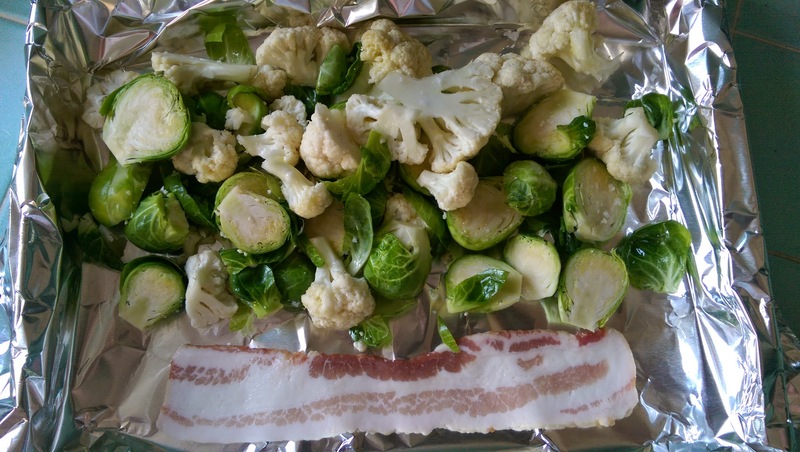 I actually put the bacon underneath the veggies, but you couldn’t see it in my original pic…the aluminum foil makes clean up so easy….have I mentioned I don’t have a dishwasher! 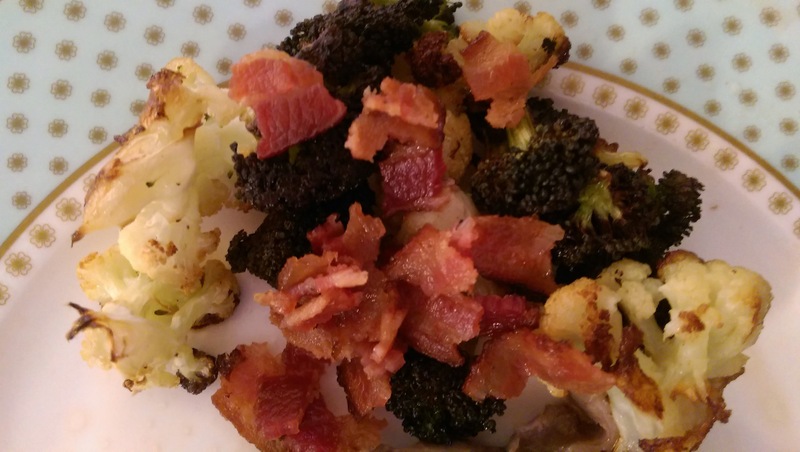 perfectly roasted veggies with bacon..yummy!! I’m on a bacon kick at the moment…can you tell??!! I made the seared chicken and roasted veggies (Brussels sprouts and squash) for dinner tonight. It was delicious. I can cook! (Who knew?). I followed JoAnn’s recipe to the letter and found the process stress free. I know, isn’t it awesome! She was appalled and made a correction that she never usea a non-stick pan because it wouldn’t sear well enough. Making that correction on my post too. 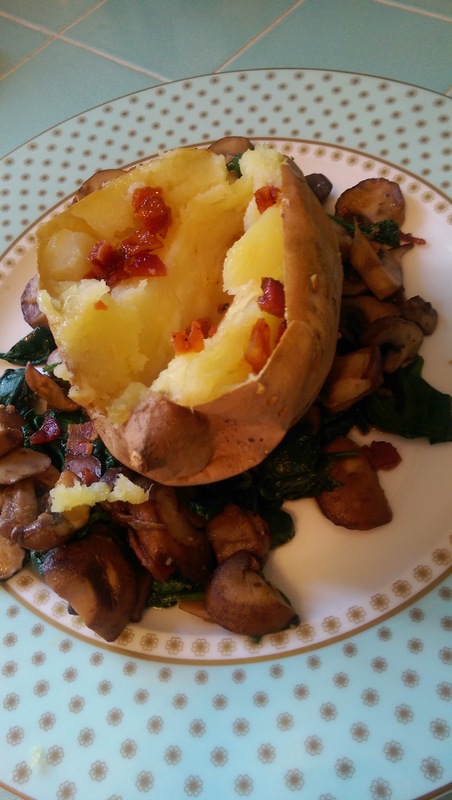 Glad it worked out…I love fool-proof and stress free cooking!